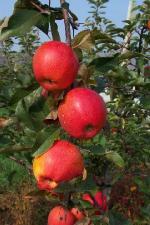 A particularly attractive late-season apple with a very good flavor, quite widely available in Continental Europe and the USA. Often imported by UK supermarkets for their "value" ranges - but Elstar is actually a very good quality apple, related to Golden Delicious and (more distantly) Cox's Orange Pippin. The skin can have a marbled appearance, often with a soft sheen to it. 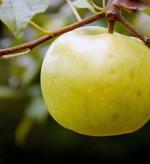 It tends to lack the perfect smoothness of many modern varieties. The underlying color is golden yellow but overlaid with deep red. 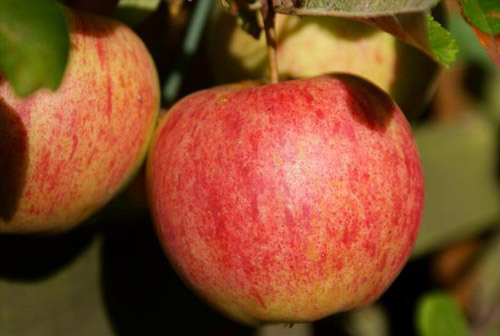 The flavor can be more intense than is often the case with other Golden Delicious offspring, but it retains the appealing sweetness - usually described as 'honeyed' in most apple text books. 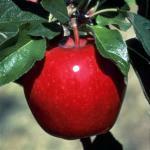 It also inherits the good keeping qualities of Golden Delicious. All in all this is a variety worthy of wider planting.